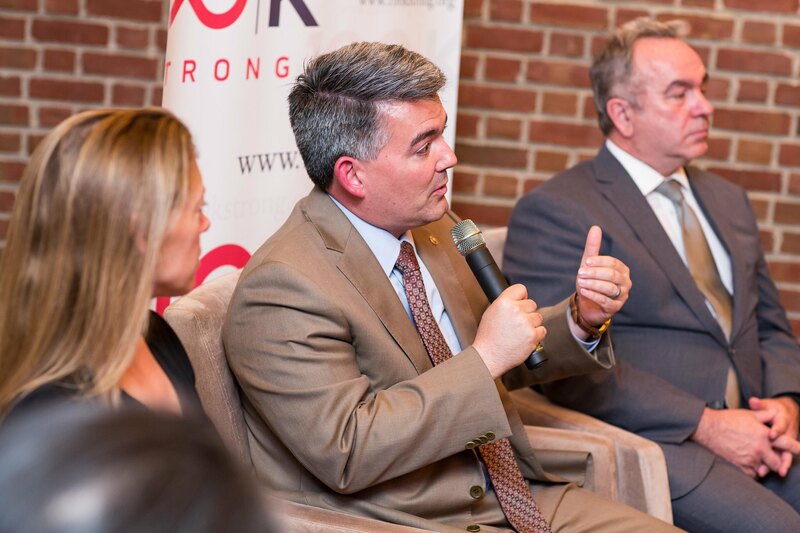 The 100,000 Strong Foundation Spring Reception on May 19, 2015 featured Allen Blue, Co-founder of Linkedin; Kurt M. Campbell, CEO of The Asia Group; Senator Cory Gardner (R-CO); and Tina Tchen, Chief of Staff to First Lady Michelle Obama, in a fireside chat on the current state of US-China relations. It was a terrific discussion and once again evidence that strong US-China relations is a bipartisan priority. UPS hosted us for the second year in a row at their townhouse on Capitol Hill. Thanks to UPS as well as to our supporters Avenues: The World School, Deloitte, Florence Fang Family Foundation, Ford Foundation, LinkedIn, Perfect World, Wal Mart, Wanxiang, and WorldStrides.